Are you a current car owner searching for a new vehicle? If so, you may be looking for a way to make use of your old one after your new purchase. For some people, owning more than one car at a time is not ideal. Whether storage and parking is an issue, or if you’re simply not planning to frequently drive more than one vehicle, our dealership has a solution for you. 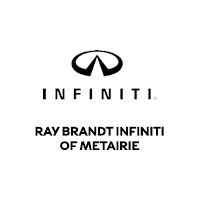 At Ray Brandt INFINITI of Metairie, we want to help you solve all of your problems in a way that is both convenient and beneficial for you! We help drivers around Metairie, Kenner, and Laplace, LA, with their new car purchases by offering them top dollar for their trade-in. Your trade-in value can be used to go towards a new INFINITI or used vehicle, or if you wish, you can simply let us buy your car for cash! Either way, we can assure you that you’ll be getting a genuine appraisal! Along with being hassle-free, we like to make it easy to see how much your car is worth. By using the trusted Kelley Blue Book Instant Cash Offer Tool online, you’ll quickly get a trade-in estimate. From there, just swing by our dealership at 3700 N Causeway Blvd in Metairie, LA, at your convenience, and we’ll verify your car’s features and conditions. Fill out our online trade-in appraisal form below and get your instant cash offer based on trusted Kelley Blue Book values now!